What is a diffusion tube? The Council, together with Tunbridge Wells Council, are inviting all primary schools to get involved to reduce air-pollution across the borough by entering their ‘SWITCH OFF YOUR ENGINE’ schools banner competition for 2018! Did you know that by keeping your car engine running that you’re adding to air pollution? We want everyone to enjoy better air quality and, with your help, we think we can we work together to think cleaner and travel greener! Design your SWITCH OFF YOUR ENGINE banner now! We’d like schools to come up with a creative design with a strong message that helps people to think about the damage they are doing by not switching off their engines when they are waiting in traffic or right outside the school gates at drop off or pick up times. Your school banner should be bold, exciting and, above all, encourage people to SWITCH OFF THEIR ENGINE! The overall winner will see their design used as part of the SWITCH OFF YOUR ENGINE campaign for both councils and will receive a large school banner* with their design for display outside their school gate. Each primary school should select their best design and submit it, using ONLY the A3 design template as provided. The design can be any style and use any medium (paint, crayon, pencil). The winning entry will be announced at the KM Green School Awards on Thursday 14 February 2019. So what are you waiting for? SWITCH OFF YOUR ENGINE and get designing! *The top 10 designs, as decided by the judges, will receive a small banner for display as a thank you for taking part. Sign up today and make a difference! We are looking for schools to take part in our Clean Air for Schools air monitoring initiative, sponsored by Maidstone and Tunbridge Wells Borough Councils. We want air quality across the borough to be improved and we need your help to do it. 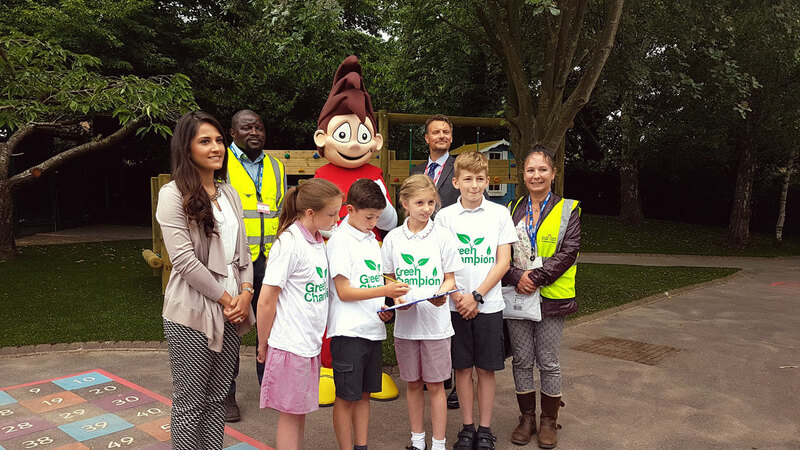 As part of the project each school will receive two free air monitoring tubes per month, to be positioned around your grounds. 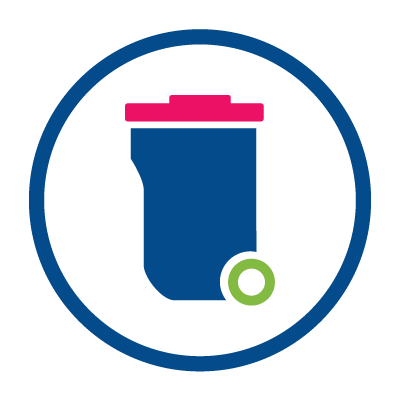 Data will be collected by your students over a 10 month period (September 2018 to June 2019) and returned to the council for your area. As well as raising awareness of air pollution and the importance of reducing car journeys to school, participation fits well with the National Curriculum Key Stages 2 to 5, addressing SC2 Science etc and relating to PSHE - Developing a Healthy Lifestyle. The project can also be completed as an extra-curricular activity with an Environment club, Green Team or Eco-Committee if you have one. Diffusion tubes are used to measure the levels of harmful nitrogen dioxide in the air, by using a specialised sampling tube. The main sources of Nitrogen Dioxide, are burning of fossil fuels (such as coal, oil, gas, petrol and diesel) for domestic heating , power generation and road transport. Tubes should be left outdoors on the school site for four to five weeks. Children, assisted by an adult, will be able to follow instructions about how to best collect the samples. These are then returned for analysis and a full report carried out. 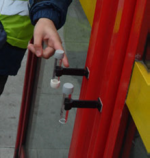 This information can then be used to map out nitrogen dioxide levels around your school. 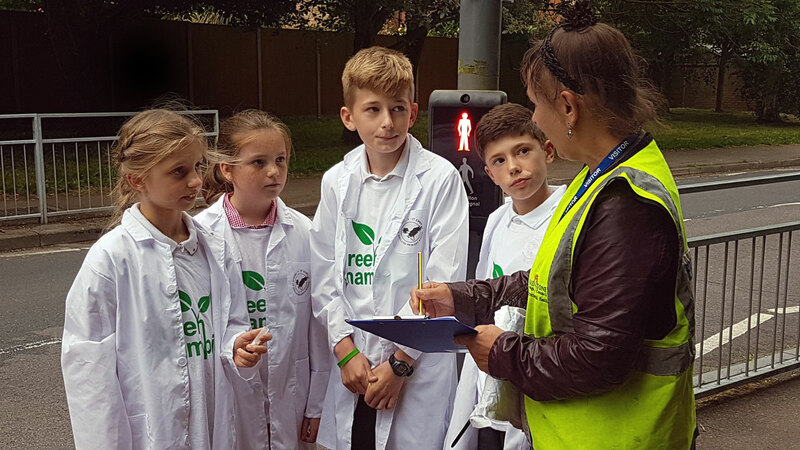 As well as raising awareness about air quality and why it matters, children will benefit from learning scientific sampling techniques, such as taking data samples, mapping and data analysis. Download our useful Diffusion Tube schools fact sheet. To find out more about Diffusion Tubes take a look at our infographic here. We've now recruited the next generation of Environmental Officers! We've officially launched our Clean Air for Schools campaign with our first school to position their diffusion tubes. The flagship school for this scheme is St John's CEP in Grove Green, a primary with great eco-credentials. We’ll be following them on their journey to monitor air pollution around their grounds, and supporting their aim to reduce traffic congestion and discourage engine idling at the school gates. For more information visit St John's CEP School website. See our videos below and follow along with the progress.